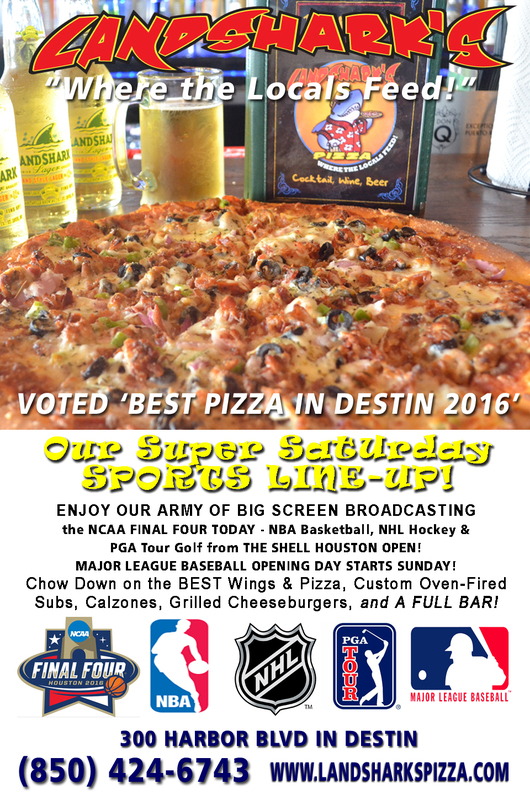 / Destin Sports Bar / Landshark’s Destin FL Sports – Your NCAA Final Four Line-Up TODAY! 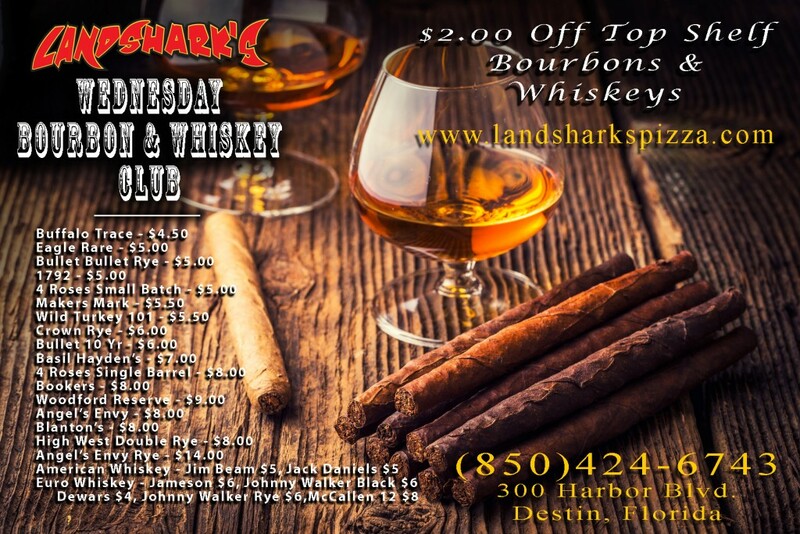 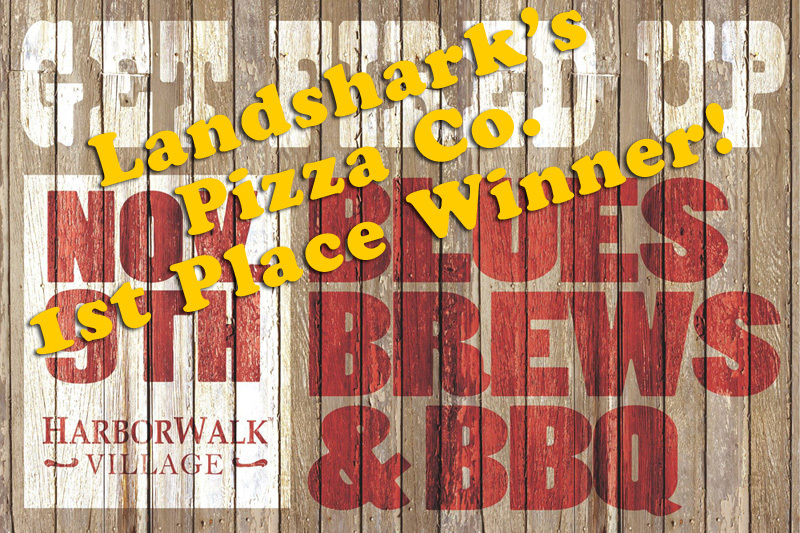 Landshark’s Destin FL Sports – Your NCAA Final Four Line-Up TODAY! 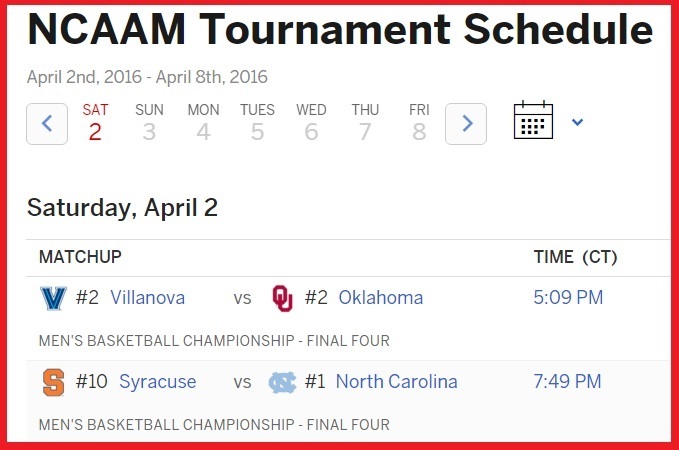 GET READY FOR SPORTS IN DESTIN, FL – HERE’S YOUR NCAA FINAL FOUR SCHEDULE FOR TODAY! 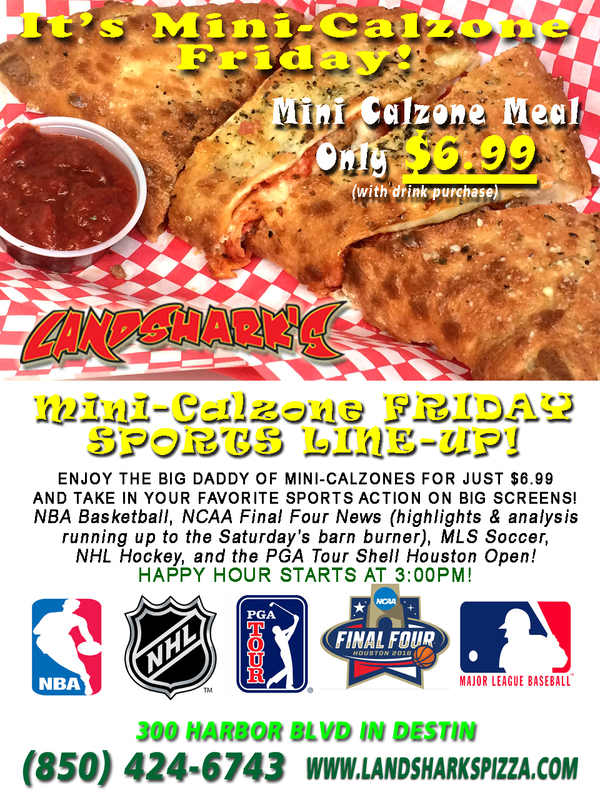 Previous Post: « $6.99 BELLY-BUSTING MINI-CALZONE FRIDAY!